Are you planning to visiting New York? Well, New York is one of the most populous city in USA. There are lots of places to visit in New York but wherever you go there is a entry fee associated. Shhh…do you know there are still various attractions where you can go free of cost. Here are some of popular free attractions of the New York City. 1. 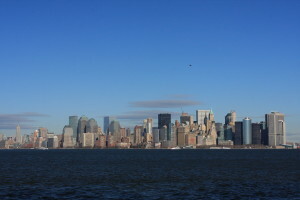 Staten Island Ferry: Statue of Liberty is the most famous attraction of New York and it is on every visitors checklist. The ferry cost for Statue of Liberty tour is $12. However, Staten Island Ferry ride is absolutely free for the commuters and also offers great views of the statue. 2. Central Park: Central Park opened as a public park in the year 1857 on 843 acres of land. It is visited by thirty-five million visitors annually. Its a beautiful park with amazing landscaping. The entry is free off course. There are various free events and programs goes on especially in the weekends. 3. Governors Island: Governors Island is another popular attraction in New York opened to public in 2003. The island used to serve as an early outpost to protect New York City from enemy naval attack, currently it is open of the popular open public space. The 172-acre island has a mini golf, picnic area and 2.2 mile of bike path. Ferries leaves from Battery Maritime Bldg, Slip 7, Lower Manhattan and it is free. 4. City Hall Make sure you reserve this tour well in advance. The City Hall is located in Lower Manhattan facing the Brooklyn Bridge between Broadway, Park Row, and Chambers Street. The construction of the City Hall was completed in the year 1812 and since then it is home to the government of New York. The tour takes you to the cupola-topped marble hall, and to the place where the coffin of Abraham Lincoln was laid for sometime in 1865. 5. Fashion Institute of Technology Museum: This is one of the must visit place when you are in town and if you are a fashion lover. The exhibits here rotates in every 3 or 4 months. Located at the 7th avenue and 27th street in Garment District, Midtown West. Above all, it is free so get in.